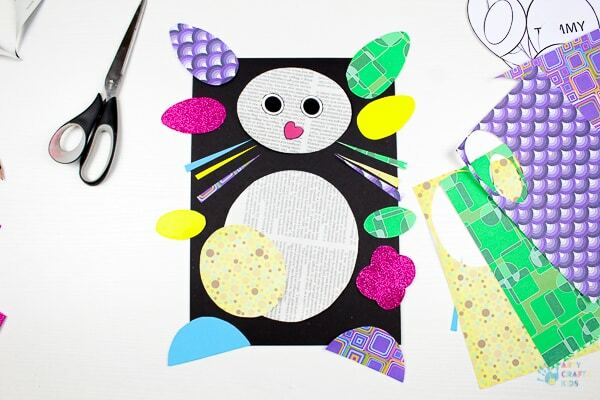 Inspired by our ‘Cool Cat‘ and ‘Playful Pup’ concept, we’ve created a new versatile Paper Bunny Craft that’s perfectly suited to any upcoming Spring and Easter themed crafting that you might be planning for the kids. 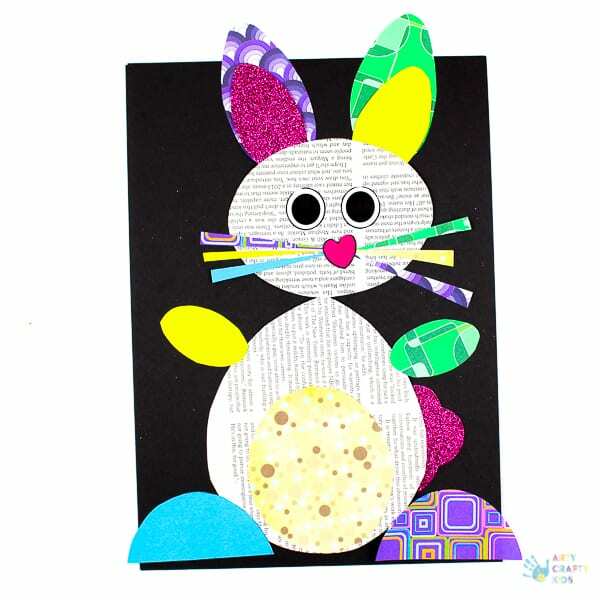 Just like our other characters, this Happy Hoppy Bunny knows how to strike a pose. 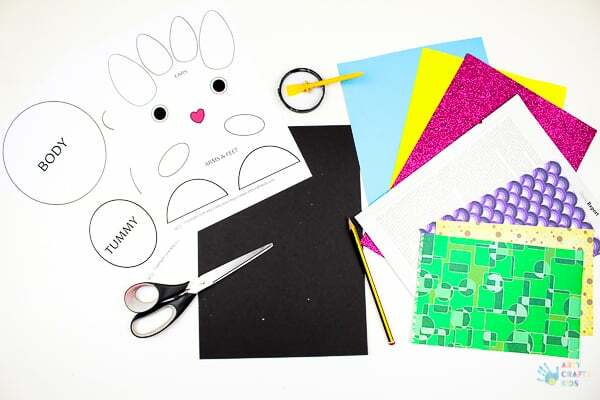 With just one template, children can arrange the pieces to create a standing, sitting, crouching, bouncing or even a dancing bunny picture, which is great for imaginative and creative thinking. Teachers have used this concept for story-telling, class displays and creative play with great success! And on a practical level, it’s the perfect activity to support fine motor development; particularly scissor skills and tracing. 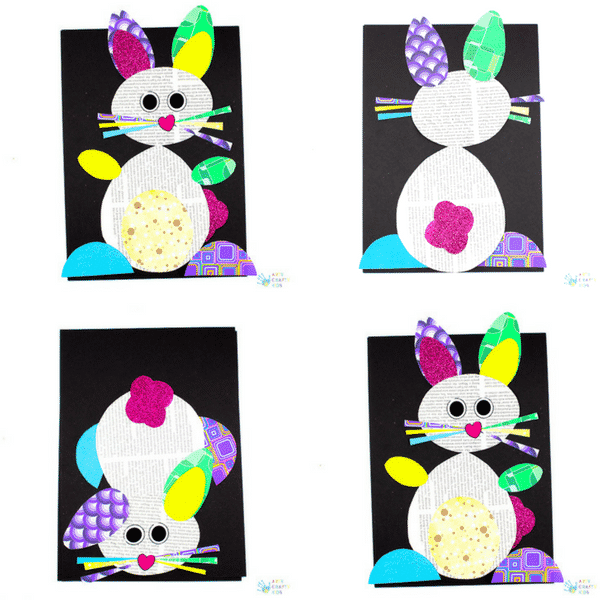 Happy Hoppy Bunny Template – Found towards the end of this post! Step 1: Download the Template and gather the supplies. 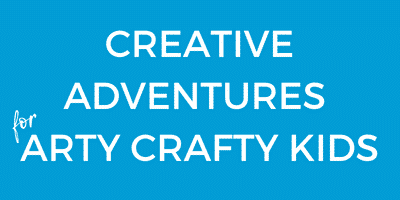 Offer your Arty Crafty Kids a variety of materials to play with explore. Consider any scrap paper, magazines, tissue paper or even fabric. The possibilities are endless – work with the materials you have to hand. 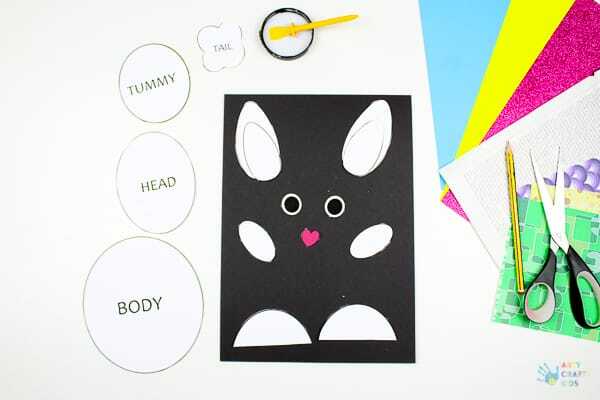 Step 2: Cut out all the Bunny body parts. The body has been purposely shaped as rather round and large, and the Arty Crafty Kids can keep it as it is or use their creative license to alter its shape. 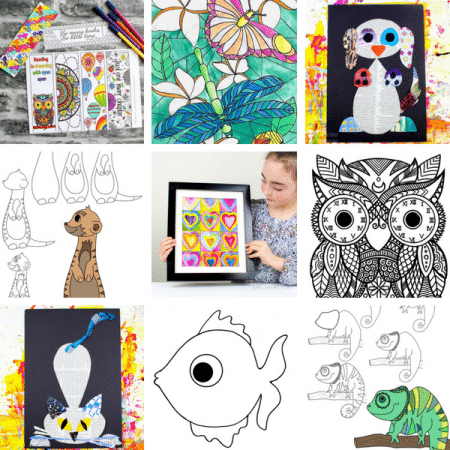 Step 3: Using coloured/patterned or newspaper, trace around the templates and cute out the paper shapes. Step 4: Once all the body parts have been cut out, it’s time to play. 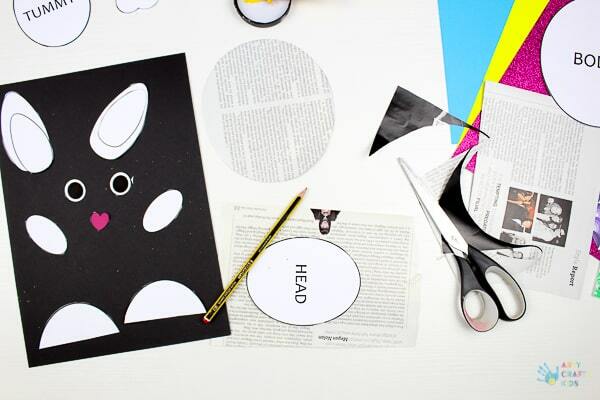 Ask the Arty Crafty Kids to describe how a bunny may look and present itself, and then encourage them to recreate the vision they have in their minds.